A partnership exists when two or more persons commence in business together with a view to making a profit. A partnership must be run on a commercial basis. A business is defined by s45 of the 1890 Partnership Act as a trade, occupation or profession. There are three types of partnership in the UK; each defined by a different partnership act. A conventional partnership is not a separate legal entity from its owners: it is unable to hold land and property in its name. A limited partnership is a partnership governed by the 1907 Limited Partnership Act. It is not to be confused with a limited liability partnership (LLP). A limited liability partnership (LLP) is a corporate version of a partnership: it is also taxed transparently but it may hold land and property in its name. Partnerships are transparent for tax purposes. This means that each individual is taxed as an individual, as opposed to the partnership being taxed as a separate body distinct from its owners. Partnerships are subject to special rules for tax, including a raft of anti-avoidance measures and targeted anti-avoidance measures. 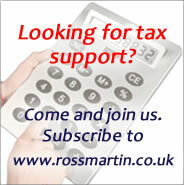 When a company is a partner in a partnership it is taxed on its profits according to corporation tax rules. This type of partnership is defined by the 1890 Partnership Act. Partners are responsible for their own and each other's debts. Partners are taxed on all the profits, although their share of the profits will vary by agreement. If the partnership makes a loss, those partners who are not fully participating in the business may be restricted from claiming Sideways loss relief (offsetting losses against other income). Individual partners may rent property to the partnership to use in its business, and charge it rent. This type of partnership is governed by the 1907 Limited Partnership Act. It is not to be confused with a limited liability partnership (LLP). At least one partner must have unlimited liability, he is referred to as a “general partner”. Limited partners’ liability is capped, in the event of business failure (unless there was fraud or something similar) they will only lose the capital contribution that they may have made to join the partnership. The common set-up is that the limited partner will provide initial funding. It is not permitted to participate in management or bind the partnership. A limited partnership’s entitlement to losses is restricted pro-rata to its capital contribution. This trading vehicle is a cross between a conventional partnership and a company; it has the best features of each. LLPs are governed by the 2000 Limited Liability Partnership Act and the 2006 Companies Act. An LLP is a separate legal entity to its members (the partners). LLPs have designated partners who are the equivalent to company officers. LLP accounts are filed with Companies House. The LLP becomes insolvent, and the partners knowingly allowed this to happen, in which case they may be required to repay their profits of the previous two years. A partner is found to be at fault at a time when he was acting under his own personal capacity. An LLP is taxed transparently, as if it were a conventional partnership. Losses are restricted in proportion to each partner’s capital contribution. LLPs are subject to substantial tax anti-avoidance legislation. The LLP is the favourite type of partnership for most individuals who are conducting a trade or business because of it affords the partners the protection of limited liability. A 1907 Act limited partnership is useful for estate planning (a LLP has to file its accounts with Companies House, but a limited partnership does not). This version of partnership is the favourite vehicle for private equity and investment funds; it has the flexibility to allow for various partnership interests. A limited partnership can also be useful when one partner wishes to have limited liability as he moves to taking a back seat in the partnership. Do we need a partnership agreement? Family partnerships are a useful tool in estate planning, however, partnerships can also be very tax efficient in terms of income tax and capital taxes, see Will I save tax if I trade via a partnership.